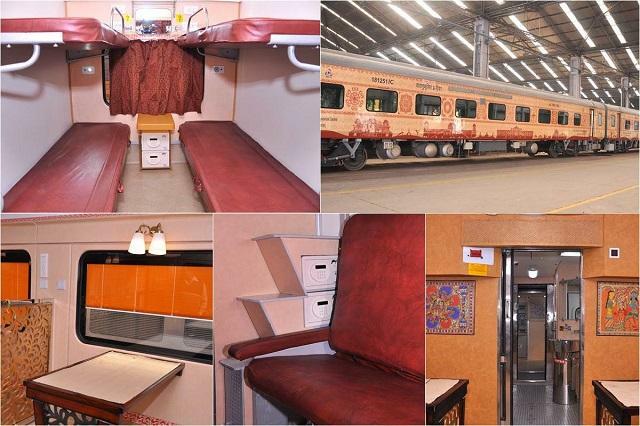 Indian Railways’ Buddhist circuit get a new luxury train on its route. 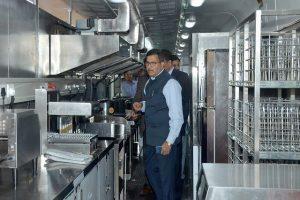 IRCTC will start operations of the new train from December. Developed with lavish features like luxury trains in India, the train will offer an 8-day journey. The itinerary includes all those places that hold significance to the life of Buddha, such as Bodhgaya, Rajgir, Nalanda, Sarnath, Varanasi, among others. The special train (rake) in colors of beige and brown is a LHB (Linke-Hofmann-Busch) model. It is manufactured in India, at Kapurthala Rail Coach Factory (RCF). 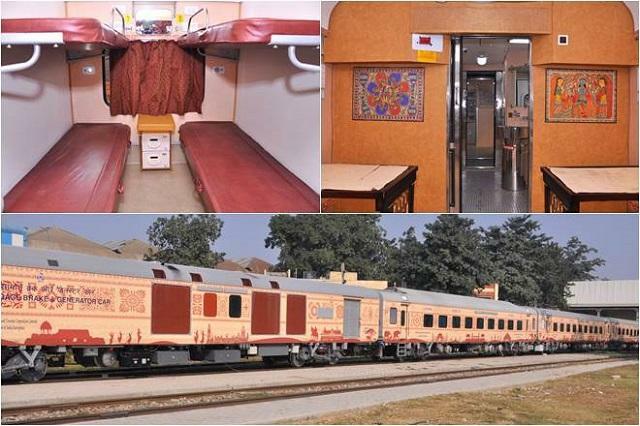 Following the structure and features of Indian luxury train – Maharajas’ Express, the train similarly has many lavish amenities, many of which are tailor-made for the comfort of passengers. Built in a short duration of only 6 months, the special Buddhist circuit train is a 12-cocah rake. There are four First AC coaches, two Second AC coaches, two dining cars, two power cars, one Third AC coach for staff and one pantry car. 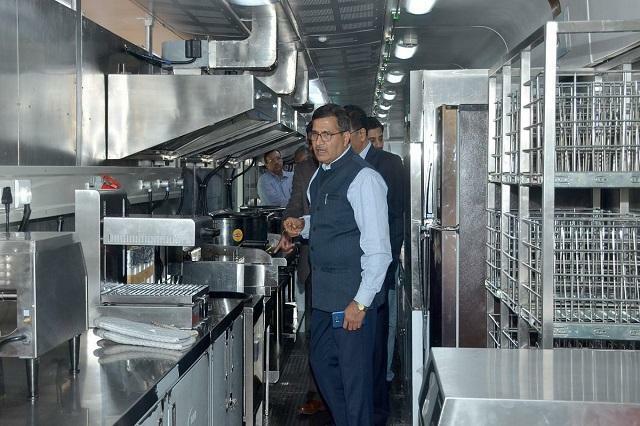 Statements from RCF coach factory stated that modifications are done in the rest of the train. IRCTC made specific demands in Second AC coaches, dining car, power car, Third AC coach and pantry car. While the First AC coach can accommodate 24 passengers, the Second Ac coach has a capacity of 30. Some unique features are namely, separate pantry for vegetarian and non-vegetarian passengers, modular bio-vacuum toilets, personalized digital lockers, Venetian windows, and shower rooms among many others. 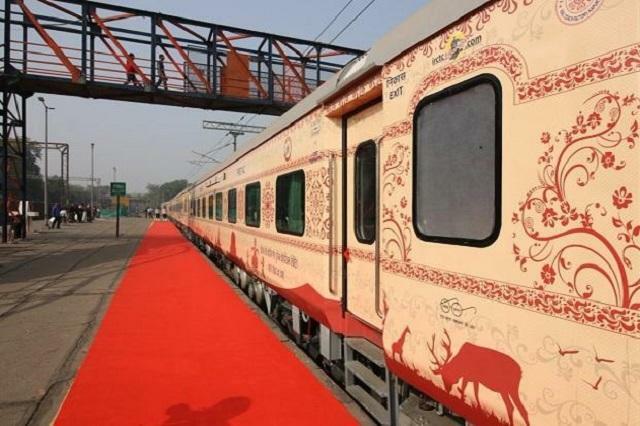 The new IRCTC Buddhist circuit train’s exterior has an anti-graffiti vinyl wrapping. Also as tribute to the rich heritage and culture of India, on display are numerous monuments and symbols. CCTV cameras, passenger announcement system, an advanced fire detection and suppression system, sofa with adjustable reading lights. Modular Bathrooms: Shower rooms (for first and second AC coaches), modular fittings in the toilets such as touch-less tap, soap dispenser, hand dryer, etc. 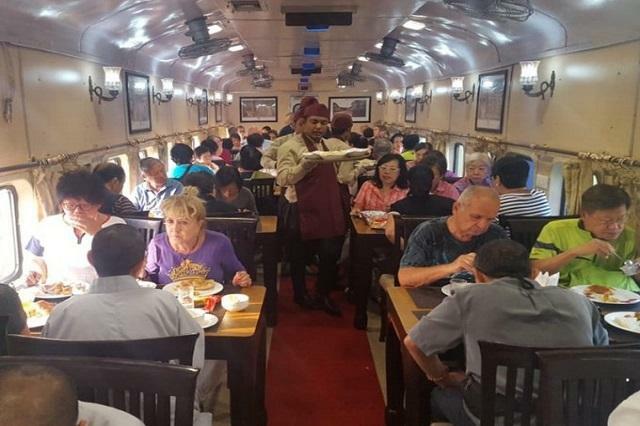 Lavish in design and feel, the dining car onboard can seat up to 64 passengers. Dine seated at teakwood finish glass top tables. In addition, the serving area has the latest equipment. There are facilities such as plate dispenser, wine chiller, Baine marie for serving hot food, programmable coffee vending machine, microwave oven, and automatic dish washer. While you savor mouthwatering delights, enjoy pictorial views without disturbance. Each seating has stainless steel partition frames and electrically-operated venetian blind windows. Truly meant for luxury, the Buddhist circuit special train has special arrangements for veg and no-veg eating guests. Amenities here include salamander, combi ovens, electric hot plate, deep fat fryers, dough making machine, deep freezers, ice-cream chest freeze, under counter freezers, RO water dispenser and many more. The Buddhist circuit train by IRCTC will journey through places related to Lord Buddha. From the site of birth, enlightenment, sermons, and almost every aspect of the Lord’s life, the train will have stopovers at Bodhgaya, Nalanda, Varanasi, Lumbini, Kushinagar and Sravasti. 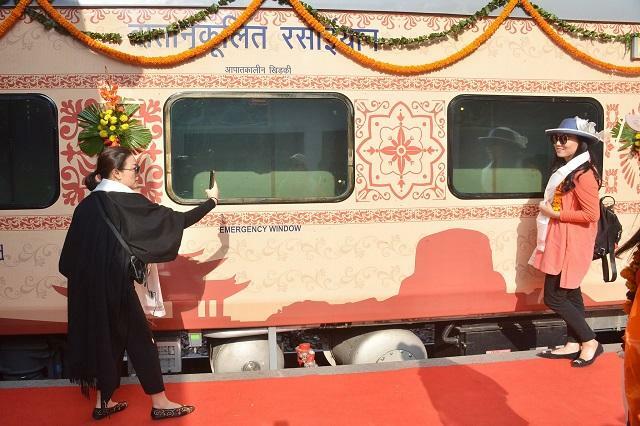 The IRCTC tourist train aims to attract tourists from Indian and countries like Sri Lanka, Japan, Thailand, China as well, with huge number of Buddhist pilgrims. This Buddhist circuit tourist train is the latest addition on the website of the Indian Luxury Trains. Know about tariff, schedule and itineraries along with booking and cancellation policy and other details of the Buddhist Circuit Special Train.